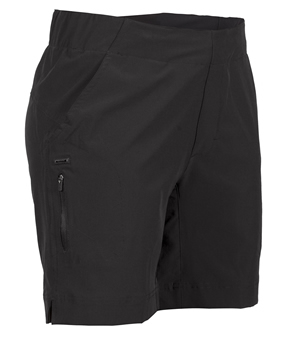 Not Baggy and not skin tight - this is a twelve panel bike short that is constructed without any binding areas. The waist is a zipper and snap fly that is snug yet casual. Loose but not baggy. This liner short is included. 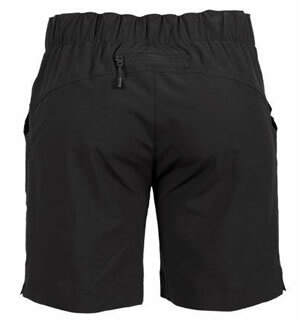 It is a liner short with a quick dry fabric 84% Polyester, 16% Spandex. It is designed for special needs for extra cushioning and comfort during your physical activity. Extra hip padding benefits all types of cycling games. Leg gripper keeps the shorts in place. ZO-Tech chamois padding is molded with a blend of foam that creates a multi-level foam affect that maintains its stretch so that it moves with you for for cycling cushioning and comfort. 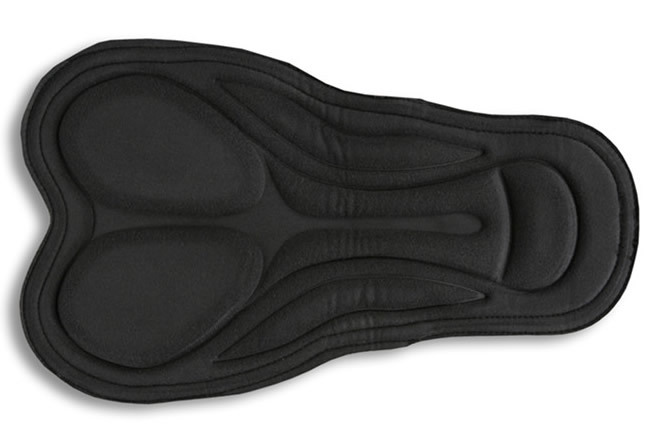 The Zoic ZO-Wick moisture management pad and fabric keep you comfortable and dry. I'm very happy with both the liner and shorts. Both are comfortable. I find the location and size of the pockets to be quite perfect also. The front pockets are long enough that putting my phone/map in there didn't interfere with the bending of my hip/leg. The back is great for some money.